These days, you don’t have to go cruising the sublime azure waters of the French Riviera or the Amalfi Coast to experience the ultimate in yachting luxury. Here in the Philippines, you can immerse yourself in equally spellbinding settings like Subic Bay, Punta Fuego and Palawan—you just have to have the right vessel in order to make your leisure and competitive boating dreams a reality. Europa Yachts Philippines makes choosing the right yacht easy for Philippine-based boating enthusiasts by offering some of the most sophisticated and beautifully designed vessels in the world. The premier yachting authority in the country, Europa Yachts Philippines has the largest fleet of luxury sailboats, trawlers, catamarans, cruisers and speed boats crafted by top yacht builders in Europe. These include Azimut Yachts, Beneteau, Monte Carlo, Lagoon, and CNB or Construction Navale Bordeaux—all celebrated names in the world of sailing and yachting. According to Richard Sarinas, Europa Yachts Philippines’ Director of Marketing, the company is committed to introducing the notable heritage, luxury and performance of French and Italian boats to the Philippine market. “Our yachts occupy a special position at the intersection of European boat building history, design and engineering. You can, for instance, look at a company like Beneteau, which has a long and storied tradition of craftsmanship dating all the way back to 1884 when it was founded in France,” he said. “On the other hand, this very same boat builder is also the originator of the Oceanis series, which has included some of the most technically interesting sailboats built in the last few decades. Today, they are the world reference in cruising with their safety features, efficient performance, and superior build—all while lending themselves to personalization,” he added. Indeed, Europa Yachts Philippines carries a number of boats that have won accolades from some of the yachting world’s most prestigious award-giving bodies. The Beneteau-made Oceanis 51.1 cruiser, for example, has won a number of awards across the globe, the most recent of which being the Cruiser of the Year for 2018 at the China Sailing Awards in Dapeng District. The locality, from which the megalopolis of Shenzhen sprung, is the epicenter of sailing in Asia and the host city of The China Cup International Regatta, the biggest and most influential sailing event in this part of the world. Characterized by its new stepped hull, taut cruiser lines, and beautiful brushed oak or mahogany interiors, The Oceanis 51.1 was also nominated in 2018 by the Düsseldorf International Boat Show for European Yacht of the Year. This sleek cruiser was brought to life by Berret Racoupeau Yacht Design and Nauta Design, who designed it with comfort, easy operability and safety in mind. The boat also provides plenty of space to relax and sunbathe in, making this monohull ideal for even larger groups of people. Benetau’s newly launched Oceanis 46.1 was also recently nominated for another award, this time as one of the Best Boats of 2019 for the Monohulls Cruising category by SAIL Magazine, an American authority on sailing. Possessing the same stepped hull design as its older siblings, the Oceanis 46.1 was designed by Pascal CONQ and Nauta Design to offer the perfect balance between sophisticated design, usable space and impressive performance at sea. 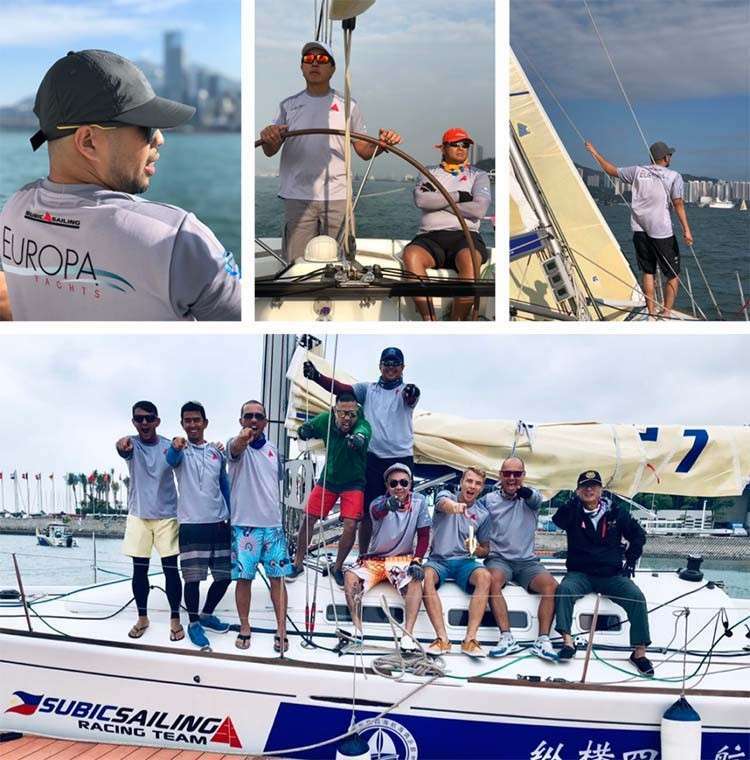 Aside from the Oceanis 46.1, SAIL Magazine also nominated two other boats from Europa Yachts Philippines’ collection for Best Boats of 2019. These include the Lagoon 40 and the Lagoon 50, which were both nominated as best vessels under the Multihulls Cruising category. These cruising catamarans, separated by a length difference of 10 feet, were created by Lagoon for navigators who value seaworthiness aside from modern and elegant visual identities.